While desperately fighting sleep-inducing 'flu-and-bronchitis this week, trying to stay awake after 7 pm and not mentally-able to focus on anything requiring an ounce of concentration, I remembered the DVD I'd picked up at a recent vinyl-hunting trip to Dimple Records. One of my favourite records of all time--Cat Stevens' "Tea for the Tillerman", live in concert, and I'd never seen it before--there's very little available in the way of live video recordings. Recorded at the KCET Studios in Loc Angeles on 8th June 1971, it's simple, warm and gently beautiful. Just Cat and his guitar, guitarist Alun Davies, and Larry Steele playing bass and congas, it's a reminder that music doesn't have to be complicated to be beautiful. It doesn't have to be angry to be meaningful. And it doesn't need to be violent to be thought-provoking. Still stunning after all these years. "Wild World" and "Hard Headed Woman". "Where Do The Children Play?" asks questions that we should be asking now, today, every day, until we get the answers right. "Father and Son", the timeless quest of generation after generation--both to find our own truth, and to protect our offspring from the mistakes we know are out there. And "Hard Headed Woman", a song that so many of us tried to live up to. Cat Stevens still makes thought-provoking music, but since 1978 he has been called Yusuf Islam. You can hear more on his website: http://www.yusufislam.com/ His later music is still beautiful, but for me there's something really special about Tea For The Tillerman and Teaser and the Firecat. They are woven into so much of my life in so many ways. 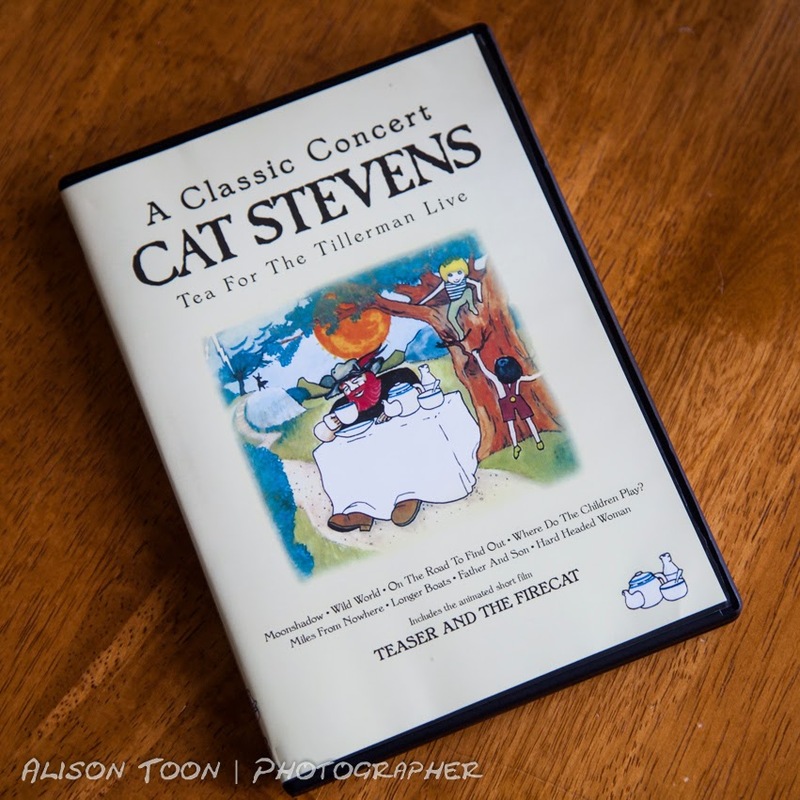 The DVD "A Classic Concert CAT STEVENS Tea For The Tillerman Live", was released in 2008 and is available from Amazon if you can't find it in a local store. It also includes an animated movie of Teaser and The Firecat, also made by Cat. This music was part of my/our youth. It still conjures up a "where were you" moment every time I hear it.